Just in case I bring this up. I'm not saying RVW isn't a great composer. I don't know who is and who isn't, because I haven't studied music. I'm too stupid to understand music theory. All I know is what I like/dislike. "Serenade to Music" is a RVW work I really like and it insprired me to explore the composer more. I usually agree with Karl except for when he's wrong about Williams. Often I agree with Karl too, but I think he has a tendency for "unnecessory negativity". Indeed. Brianites tend to be almost as sinewy and muscular as the composer's music. I greatly enjoyed Martin Brabbins' Edinburgh performance of the Sea Symphony and was looking forward to his recording. I listened to it on Monday afternoon but failed to get to the end. It is very exciting but I found the chorus too loud at times and sometimes even raucous. Also I thought the baritone soloist lightweight. I wasn't feeling too well at the time so will have to give it another chance. I greatly enjoyed Martin Brabbins' Edinburgh performance of the Sea Symphony and was looking to his recording. I listened to it on Monday afternoon but failed to get to the end. It is very exciting but I found the chorus too loud at times and sometimes even raucous. Also I thought the baritone soloist lightweight. Seasick or sick of the Sea Symphony? They overweighted the chorus in the recording? It's tough, expecting a recording to recreate one's experience in the space. Well, then I am wrong and I can't help it. I'm doing this the wrong way again. I haven't enjoeyd this at all because of the "pressure" to be right here. I have noticed that I enjoy exploring music the most when I do it privately on my own ignoring what other people think. It seems a no brainer to get advaces online about what to try/listen to next, but it just doesn't work for me well. So, from now on I explore RVW further my own way. Thanks everyone for the help, but unfortunately this isn't working for me. Getting anxiety from listening to music makes no sense. I'm very sorry that these recommendations are causing you anxiety - that is not the aim at all! Any recommendations from me are on the off chance that someone will enjoy the music and I get pleasure out of introducing members and others to music that they might not otherwise come across but the emphasis should be on pleasure not pressure. Still, good to fine another Ke$ha fan. I greatly admire her song 'Tik-Tok' ( much to the amusement of my former students). A lot of that around here. I'm just recovering from one myself and hope you get better soon. Oh crap. Get better soon. Recommendations themselves don't cause anxiety, but what I do with them, so it's my own fault. I should always take the time and try to enjoy the process. So, that's why I'll take now a break of RVW and continue when I feel I am ready. Kesha Rose Sebert is an amazing human being and widely misunderstood as a bimbo who doesn't know how to sing. Autotune in her music is used for cool sound effect. She is a very good singer, very talented. Writes her own music. High IQ. She fights for human rights and animal rights and has been awarded for those efforts. Cool to hear you are a fan. Nice video - a different side of Kesha. OT: Glad you liked. She has got many sides. 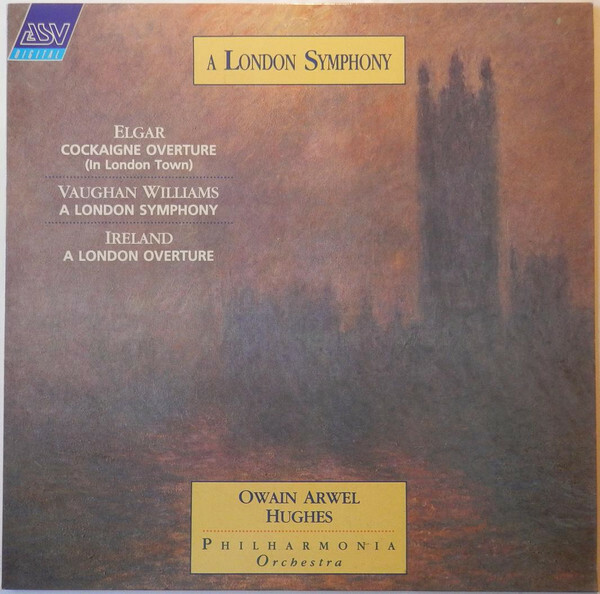 I listened to this recording of London Symphony by Owain Arwel Hughes/Philharmonia Orchestra the last few days following in the Dover score and find it excellent. The performance level and interpretation is superb. I do love the early versions as well. Part of what I adore about RVW is how he melds French (Ravel) with German (Wagner/Mahler) in a very English way. He is extremely unique and I haven't heard anything from him I dislike. I'm interested that you like that recording as I seem to recall it was not well reviewed. I must listen to it again although I can't listen to the 1936 version any more without being acutely aware of the 'missing' section just before the epilogue. The thing about Vaughan Williams is that he has an instantly recognisable style. Compared to Elgar his music is more objective and less personal I think. I do not consider this a weakness, just an observation. I think that Elgar was a very great composer as well but it is really the three symphonies which appeal most to me and I never listen to the oratorios or chamber music, whereas I like the vocal and choral works and chamber works by Vaughan Williams. Perhaps I should have made it clearer, I heard the Edinburgh performance on the radio though it would have been nice to be there. In the CD recording (with different forces) there are times when it sounds like the chorus suddenly jump out and shout at you. I have various recordings that sound better balanced, Halle Elder is still my favourite, marginally ahead of Spano/Atlanta. In the next few days I will give it another try. I should also have mentioned that the soprano soloist is excellent. Many thanks for all the kind thoughts. On Tuesday I went to my local medical centre and the clinical nurse gave me antibiotics, steroids and a flu jab so I should be sorted for the rest of the winter. It could be that reviewers find this a bit on the slow side. It is one of the slower recordings of the 1920 version which is the most concise. So this one sort of spreads out a concise version. But I like it because it is very evocative and has beautiful sonorities in the brass. It's just gorgeous. 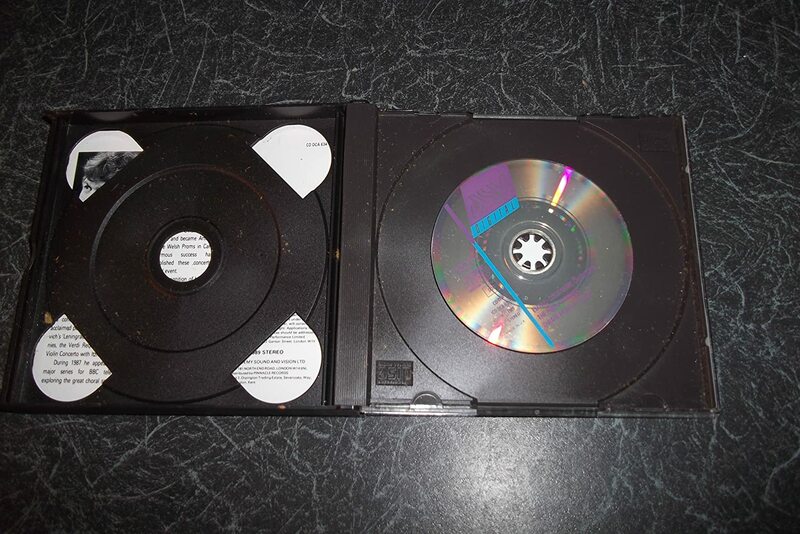 One very odd thing about this recording though, it is on two cd's and the second cd is very small! How weird! I think though the VW is of the 1936 version as there were no recordings of the 1920 version (apart from Goossens's old Cincinnati verson) until quite recently. How weird! Never seen anything like that before. As to A London Symphony there is a 1913, 1920 and 1936 version. Personally I wish that VW had kept the 1920 (or 1913 for that matter) version as the final version, especially as, in 1936, he excised the most moving part of the symphony just before the end - although others may disagree and there has been much debate about this.